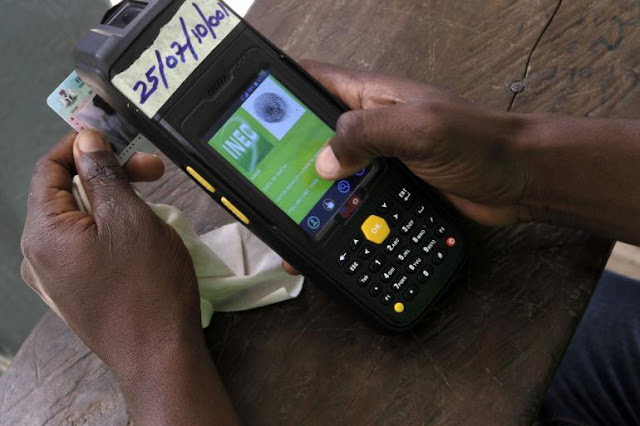 The Peoples Democratic Party (PDP) has dragged the Independent National Electoral Commission (INEC) before the Federal High Court in Abuja over the electoral body's position on the use of card readers for the general election. In the court papers dated Monday, February 11th, PDP asked the court to restrict INEC from postponing elections in any polling unit as a result of a malfunctioning card reader. INEC had in the past said in the case where a smart card reader malfunctions, voting will be suspended till a new card reader arrives or postponed till the next day if a replacement is not available by 2pm. “10. (a) In accordance with Section 49 (2) of the Electoral Act, a person intending to vote shall be verified to be the same person on the Register of Voters by use of the Smart Card Reader (SCR) in the manner prescribed in these Regulations and Guidelines.